When you are evaluating a bilingual candidate, it is important to understand how well they can communicate in their second tongue. This is not just a simple matter of making sure they can translate or speak a few sentences since there is a large difference between speaking a language and communicating in it. 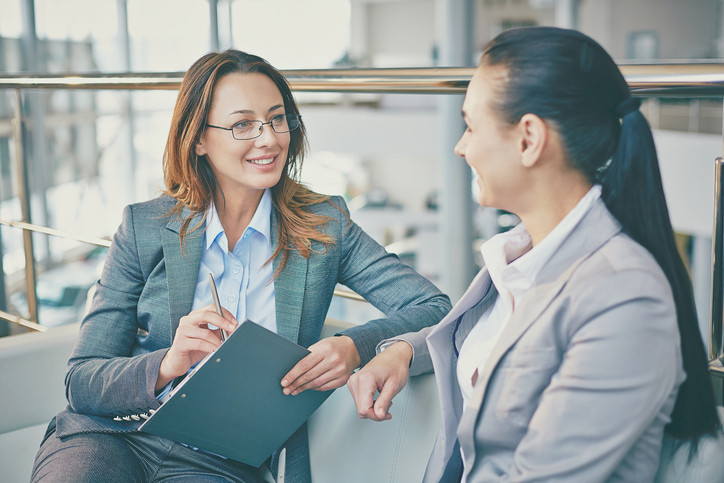 Here are a few ideas on how you can evaluate a candidate’s bilingual proficiency as part of the interview and evaluation process. When evaluating the resumes of bilingual candidates, you will likely encounter phrases such as “fluent in French,” “working knowledge of Spanish,” “conversational Dutch,” and so on. It is extremely important not to base assumptions about a candidate’s language proficiency on these self-assessments alone. The most obvious reason for this is that the person could be exaggerating their skills. Another reason, however, is that it is surprisingly common for people to underestimate their own proficiencies. Going solely by the self-assessment means you might end up passing over someone who has exactly the linguistic skills you want but doesn’t realize it themselves. A language proficiency test is exactly what it says on the label: a way of testing the bilingual skills of a given candidate. There are multiple types of proficiency tests available, and each one focuses on different aspects of bilingual communications. The exact test you use will be determined by what role bilingual skills will play in the position. Broadly speaking, language proficiency tests fall into one of three categories. These evaluate the ability to write in the target language. Any position that has a heavy documentation aspect, such as writing reports, articles, or administrative notation, will place emphasis on this category. This is a test that measures the ability to orally communicate or follow instruction in the target language. An example would be asking a series of increasingly complex questions in the target language that dictate spoken tasks the candidate must perform. Positions with a large level of direct communication, like customer service or sales, will wish to focus on this category. These tests evaluate the candidate’s bilingual skills with regards to transferring information between languages. Translation is a higher level bilingual skill and plays an important role in many managerial-type tasks. For example, your position may require reading foreign materials and explaining the content to unilingual members of the team. Translation will also be important if you are trying to expand into foreign markets and need to produce alternate language versions of your documentation. Although it is possible for a unilingual person to administer a language proficiency test, it really can’t be overstated that a bilingual interviewer will be an asset during the evaluation process. Language is complex, to put it mildly, and there are numerous nuances about inflection and emphasis and word choice that only another speaker would be aware of and able to monitor during the interview. If you don’t have a bilingual interviewer on staff, consider outsourcing one on a temporary contract. Staffing agencies specialize in all sorts of different industries and types of positions, and bilingual hiring is no exception. Working with bilingual recruiters lets you benefit from the agency’s contacts and resources as well as their own language assessment tools. This lets you delegate different parts of the screening process and free up time and resources that can go back towards your main business. Resolve Recruit is one of the leading employment agencies in the Mississauga, Brampton, and Toronto areas. We match skilled workers with employers across a variety of industries with an emphasis on bilingual talent. Learn more by contacting us at sales@resolverecruit.com or call (905) 568-8828.